With a stay at Otterskloof Private Game Reserve in Philippolis, you'll be 16.9 mi (27.2 km) from Laurens van der Post Memorial Gardens and 17 mi (27.3 km) from Philippolis Reformed Church. Featured amenities include a computer station and a library. 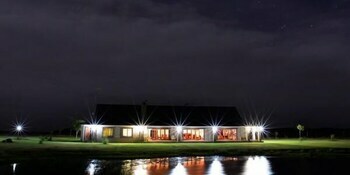 Located in Lydenburg, Big Boma Guest Lodge is within a 10-minute drive of Lydenburg Museum and Lydenburg Golf Club. Self parking (subject to charges) is available onsite. With a stay at Blue Horizon Bed & Breakfast in Southbroom, you'll be within a 5-minute drive of Riverbend Crocodile Farm and Southbroom Golf Course. Free self parking is available onsite.